A 26-year civil war in Sri Lanka left at least 100,000 people dead on both sides of the conflict. In 1987, India sent a peacekeeping force, but it ended up getting drawn into the fighting. Thirty years on, BBC Hindi’s Vineet Khare revisits the former battlefields of Sri Lanka with a retired Indian major-general who served there. 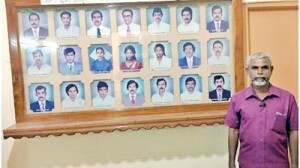 (BBC) – The main hospital in the northern city of Jaffna is a clean, white building, bustling with activity. At first glance there is little to suggest that it was the site of a terrible human rights tragedy in October 1987. But inside it is a different story. 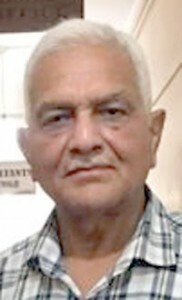 I enter with retired Major General Sheonan Singh, who served with the Indian Peacekeeping Force (IPKF) that was sent to Sri Lanka to oversee a ceasefire with separatist militants from the Liberation Tigers of Tamil Eelam (LTTE), who were fighting for a homeland for minority Tamils in the north. We see a wall lined with photographs. They are to commemorate nearly 60 people who died when soldiers, allegedly from the IPKF, fired at the hospital with heavy artillery, reportedly to flush out LTTE militants. We meet A Devendram, a former employee of the hospital who was working there that day. “I ran and shut myself in that room for 24 hours,” he says, pointing across a narrow corridor. “I could hear gunfire and staff shouting as they were being shot dead. I saw the men. They were Sikhs, wearing turbans and Indian army uniforms.”Tamil rights activists in Jaffna say Indian troops were first fired at by four to five LTTE men from inside the hospital.India has always denied killing non-combatants but many say that Indian troops struggled to identify LTTE militants, who would mix among locals after carrying out attacks. Dr Ganeshmoorthy, who had been working there as an anaesthetist, reached the hospital three days after the incident.”When I walked in, it smelled of stale blood,” he said. Surviving doctors told him that some of them had to lie under corpses to avoid detection. If they moved or made any sound, they risked being shot, they told him. Mr Singh quietly listens to these accounts. “I was unaware of this incident. It seems information about it got suppressed and people (further up in the chain of command) didn’t know of it,” he says, as he stands in front of the pictures of the dead men and women.”I can only say what happened was bad. When the IPKF were being fired at, they didn’t care who they were firing at. It is unfortunate but wherever military operations occur, these things happen,” he says. 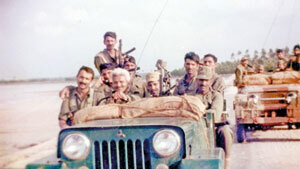 This was one of a number of incidents that led to the eventual withdrawal of the IPKF, their image with the local population tarnished, and having lost 1,200 men.The nature of their departure was a far cry from that of their arrival in Jaffna in July 1987.When they arrived, many of the Indian soldiers were convinced that their mission would help Sri Lanka’s Tamils. War was not on their minds. Stories abound of them going on shopping sprees for cheaper foreign electronic items – something many Indians craved back home.”Many of our units including artillery units landed without ammunition as they thought they were not needed on a peace mission,” says Mr Singh.The IPKF, he says, had received no briefing about the dangers ahead, had no grid maps or any advance intelligence. But the Indian troops had landed in the middle of a particularly volatile environment.”When the IPKF arrived, Sri Lankan Tamils thought of them as saviours. They were welcomed. People felt they were being liberated from the Sri Lankan army,” N Parameswaran, who was a university student in Jaffna in 1987, tells us. But many Sri Lankans, including members of the government, were unhappy with what they saw as a bigger country interfering in the internal affairs of a smaller neighbour. Things took a particularly sour turn when the LTTE refused to disarm. They eventually turned against the Indian forces. The relationship between the two sides was initially very good. “Many of the LTTE cadres were known (to us) since they had been trained by our agencies. They would visit our military posts, which later helped them understand the layout of our presence while launching attacks against us,” says Mr Singh. “Their weapons were also far superior. In fact we would hide ours so that they would not laugh. The IPKF was gradually drawn into a guerrilla war against the LTTE and ultimately launched a mission to capture their Jaffna stronghold in October 1987.The assault was to begin at the Jaffna University grounds – a few kilometres from the IPKF headquarters at the Palali airbase. The ground today is a large expanse of green studded with multiple sports facilities. “Thirty years ago, it looked a jungle. This place has been cleared of bushes, thickets and a tree that stood here,” he says.Major Singh and his men were tasked with clearing space for assault forces.But the LTTE had prior information of the IPKF assault and they opened fire on them from three sides. “We were being fired at from that building behind the water tank,” he says, pointing at a building in the distance. The LTTE firing intensified as more Indian reinforcements arrived. The battle raged for the next 24 hours. The IPKF lost 36 men that day. But 30 years on, Mr Singh says he is happy that peace has finally returned to Jaffna. As we drive around the city, one can’t help but marvel at his memory. The geography of the region, the names of his contacts in other Tamil armed groups and conversations with LTTE leaders are still fresh in his mind. He is elated to see signs of development as he took pictures and videos to share with his former colleagues.